Who is Adam Schlesinger? Find out this week, as I explore some of my favorite tracks by the power pop savant. In my first post of Adam Schlesinger week, I called Fountains of Wayne “his flagship project,” but really Schlesinger has had two signature bands, and Ivy actually came before Fountains. This fact also calls into question a second tenet of my previous post: That Schlesinger’s trademark style is power pop, when Ivy is far from it. Where Fountains of Wayne has a big, almost mechanically engineered, power pop sound, Ivy is a bit understated, indie pop sound. It sounds like something you’d hear on the soundtrack of a ’90s movie. (Lo and behold, the track I picked is on the There’s Somtehing About Mary OST.) The mellow, but tuneful, alternative/indie pop sound — with splashes of electronica — earned the band some critical acclaim in the mid-90s. It was more buzz than Fountains of Wayne ever got, but being hip is an easy sell. Some of their songs are so placid, the strong melodies feel like an afterthought. I prefer the ones that sound more like a traditional rock number, with energy to match the catchiness. Their best known track, “Edge of the Ocean,” doesn’t quite do it for me. 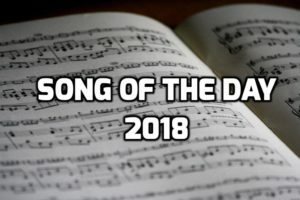 The horn-infused “This is the Day,” on the other hand, is right up my alley: So catchy and frivolous, it could be on the radio.